Truly Wireless Earbuds. A product category that was unheard of, just a few years back. But in comes Apple with its ‘brave’ move to remove headphone jacks and wireless earbud get a shot in the arm with the launch of the AirPods. A ‘revolutionary’ device that has 2 independent earbuds not connected to each other even by wiring. 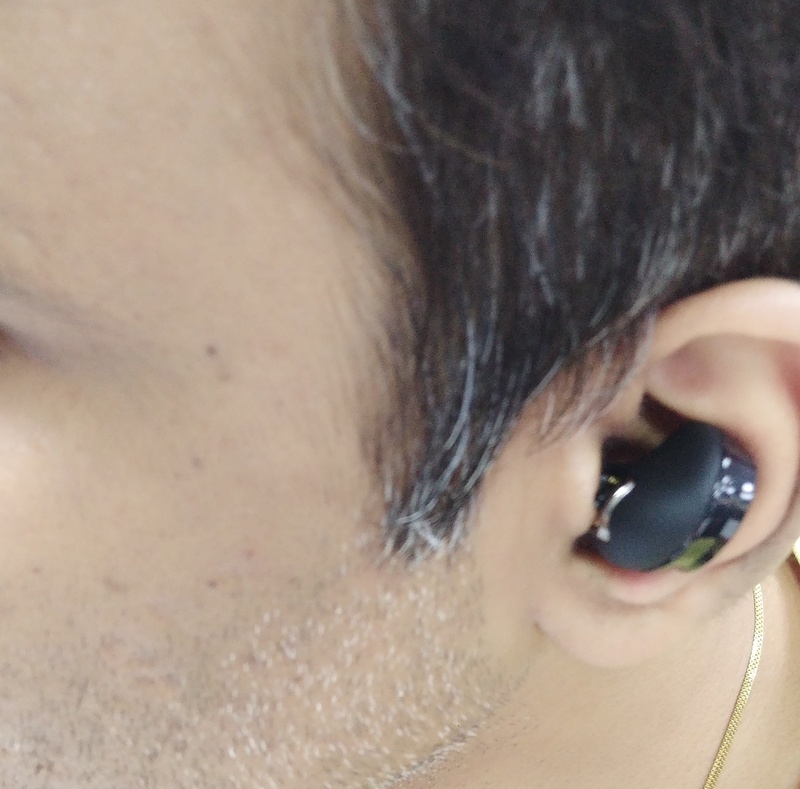 Bragi, a German company that wants to create innovative audio and wearable products, had a similar idea of its own. 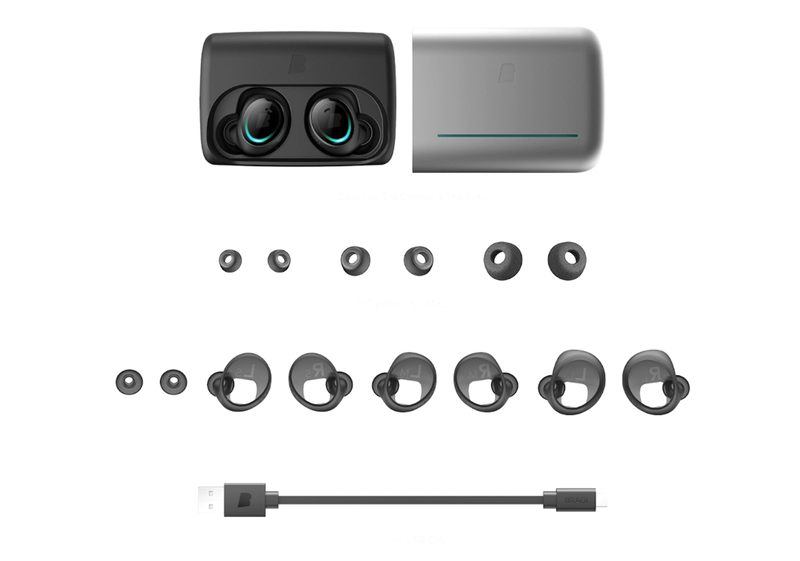 To which effect they launched the Bragi Dash in 2015, followed by the Dash Pro. But how good is the Bragi Dash Pro? There’s a lot of technology to unpack, so let’s not waste any time in deliberating if we really need truly wireless earbuds. The Bragi Dash Pro is quite a unique unboxing experience. The main box is split into 3 smaller boxes, one containing the portable carry case, one housing the microUSB cable and one smaller box with different sized ear-tips and silicon sleeves to try out. Bragi calls these FitTips Pro and FitSleeves respectively, and these were very useful while actually using the Dash Pro. The portable carry case is metallic to the touch and plastic on the inside, with a foam cushioning for the earbuds. The case can hold up to a claimed 30 hrs of battery life and as soon as you place the earbuds inside, they start charging. Bragi claim about 5 hrs of playtime on a full charge, which should be good for around 5 recharges from the case without the need to recharge the case. The light indicators on the case as well as the earbuds notify if they are running out of power. Oh, and they are waterproof to boot, with an IP X7 rating. One of the reasons why the Bragi Dash Pro is such an intriguing product is the sheer amount of technology packed into it. Not only are these truly wireless earbuds independent of each other but they also have an OS inside, 4 GB of internal storage, gesture support, tech can help translate languages real-time, a heart-rate monitor, an AI powered activity tracker and a cool ‘audio transparency’ feature. Let’s try and understand how each of these works in actual use. Fancy increasing or decreasing volume with swipe gestures? Check. Want to change the track by tapping? Check. Want to listen to the announcements at the airport with a quick swipe? Check that too! The Dash Pro’s gestures worked very well during my use. The only problem is the mistaken taps that get registered, leading to unexpected volume changes or even change of tracks. The Audio Transparency effect is quite disorienting when you first hear it. Once it is turned on, you will be able to hear surrounding noises, but amplified. Those murmurs will be clearly audible and even some distant mumbling becomes hearable. Also, some gestures were a chore, but I wonder how many would rely solely on them. It seemed much easier to unlock the phone and then do what was needed, rather than first trying to remember the touch control and then actually executing it. Adding to the touch controls are the audio cues. There is a constant feedback from the earphones with helpful cues like, “I am now connected” to “My battery is low. Please charge me soon.” This might annoy some people but in my opinion, a good feature to have. The Bragi Dash Pro come with 4 GB of internal storage of their own, which essentially allows you to store songs directly to the earbud and play it from there. This not only frees you from carrying your smartphone during a run but also allows you to have (perhaps) a completely different song selection on-the-go, than what you usually have on your phone. Fun Fact: Only the Samsung Gear Icon X have any internal storage, among all popular truly wireless earbuds. As far as the OS is concerned, it runs the show in the background. Users can install the Bragi app on their smartphone to get relevant data. To update the OS, Bragi has created a tool which is available on a separate Bragi webpage; however, the entire process to update felt a bit cumbersome. The Bragi app is designed to give you more controls while listening to audio as well as recording your workout sessions. The app is separated into different sections, named Activity, Controls, Sound, Profile etc. It is easy to use and intuitively designed. There is some amount of customisation too, especially for recording your workout, where you can change the units for distance, your body weight, etc. The app does a fairly good job of knowing which activity you have started and starts keeping count. It’s fairly accurate and worked well almost all the time. However, it must be said that I do not do a lot of workouts and perhaps won’t be the best person to judge this feature. However, the heart rate monitor was easy to evaluate and it is pretty accurate. There is also a translate app which works in realtime to convert spoken language to your native tongue, right in your ear. However, we weren’t fully able to test out this feature. Once you have charged the earbuds and are ready to listen to some music, all you have to do is simply pair it via Bluetooth to your smartphone and start streaming. Any device with Bluetooth v4.0 and A2DP enabled will be compatible. For my testing, I had it paired with my OnePlus 3 as well as my MacBook Air. While it was much simpler to connect the Dash Pro to the MacBook Air, things were a bit different on the Android device. 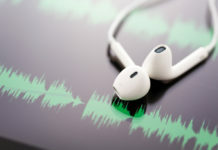 Basically, it is better to connect to the earbuds via the app, since you can also boost the volume from there. More on the app later. First, I’d like to make a few observations about the fit of the earbuds. These weren’t the easiest pair to get a great fit using the default eartips. This isn’t unexpected, to be honest, but the sheer amount of time it took me to take it off and get the silicone sleeve on, was infuriating. With time, it got a lot better, but it still remained a sticky point, throughout my usage of these. Once I was confident that the earbuds would stick and not fall off, it was time to finally enjoy some music. The pair isn’t small in size, especially for someone like me who was coming from using only in-ear wired earphones which are getting smaller every year. The weight is manageable, you will always feel their presence but they don’t feel bulky nor overbearing. So, how do they sound? 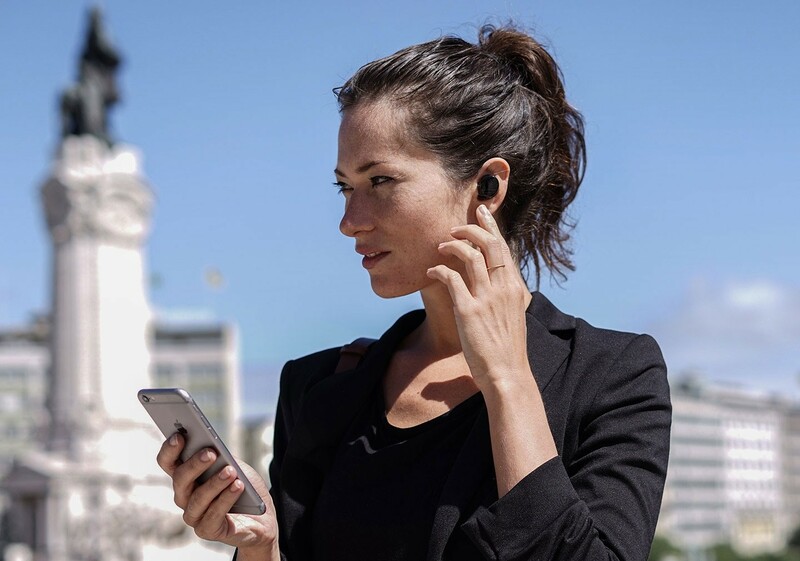 It’s difficult to judge any pair of Bluetooth earbuds but it’s markedly more so, for a tech-powered truly wireless pair, which is so new in the market in a product category that is so exciting to follow. Let’s start with the good stuff, then. The sounds are rich, vibrant and clean. Moreover, there is a good amount of bass which most of us Indians (the ones which aren’t audiophiles, of course) tend to prefer. The highs weren’t bad at all and watching videos casually on YouTube, Amazon Prime or Netflix while commuting was also enjoyable. There is good stereo separation and the claim of waterproofing also held up well while on a quick run in the Mumbai rains. Did You Know? India’s online video market is expected to grow to $2.4 billion in value by 2023, according to research firm Media Partners Asia. The bad stuff? Well, the sound stage isn’t great, and some of the songs sound like they are playing right inside your head. Moreover, the Bluetooth connection didn’t always seem reliable and there were some odd drops. The song would simply not be audible for a fraction of a second, or even a whole second at times, before playing back normally. I noticed this mostly occurred while I was moving around or while running. Calls on the Bragi Dash were a strange phenomenon, since I struggled to hear the person at times and it seemed like they were speaking from far far away. Almost all callers, however, had little complain of wind noise and other distracting noises around me. Though Bragi claims a 5 hour battery life for the Dash Pro, in our testing we could manage only about 3.5 hours on most days, with volume around 70%. It’s still not bad, especially considering the sheer amount of features loaded in these earbuds. Also, once you put these inside the box, the charging begins and it doesn’t take long for them to charge back. At Rs. 29,999, the Dash Pro isn’t for everyone. Considering audiophiles aren’t going to enjoy the shortcomings, it is not aimed for them either. It is, instead, aimed for people who would love to have ALL those features in an easy-to-use pair of earbuds which are waterproof and reliable. In India, these pair of earbuds are available online via Headphone Zone. It’s 2018 and we finally seem to be getting used to the idea of wireless audio products. With all the AI technology being paraded by smartphone brands, other smaller tech players have tried to make their mark with some rather innovative products. 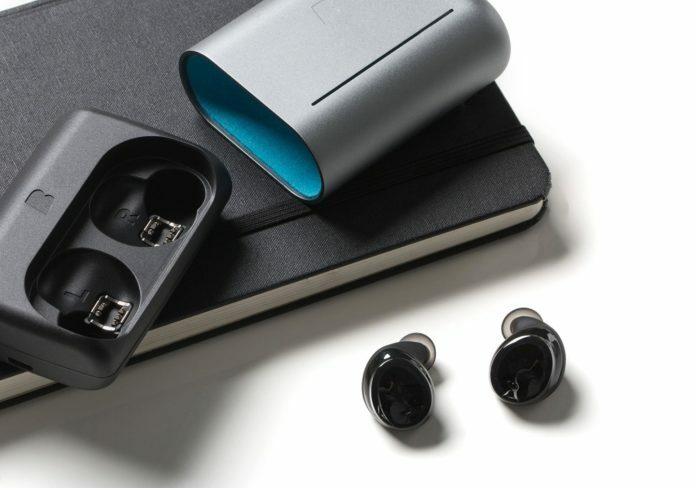 The Dash Pro from German brand Bragi is a fine example of such a device. 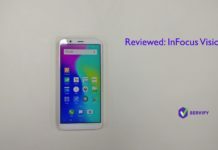 It is brimming with features that we don’t usually see on such a small device and even though the sound quality leaves a lot to be desired, there is the promise of firmware updates which tend to improve the overall experience of using this product. The Dash Pro, then, isn’t for everyone. But if you love to track your fitness and want a truly wireless earbud loaded with features, then look no further. This is the only product of its kind. For now.